Adventures of a busy mum with two boys - play, travel, and fun! This time next week the bustling port town of Blyth, in South East Northumberland, will host the prestigious Tall Ships Regatta in 2016. The four day event starts on Friday 26th until Monday 29th August 2016.The Tall Ships Regatta will be a fantastic maritime celebration including live music, street theatre, Crew Parade and a spectacular Parade of Sail, where you can see the dramatic sight of the fleet under full sail. With ships attending from Norway, Belgium, Poland, the Netherlands and UK it will be a brilliant international event. During the event there will be 1.5 miles of entertainment, split into 5 huge entertainment zones. For more information see the Visit Northumberland website. 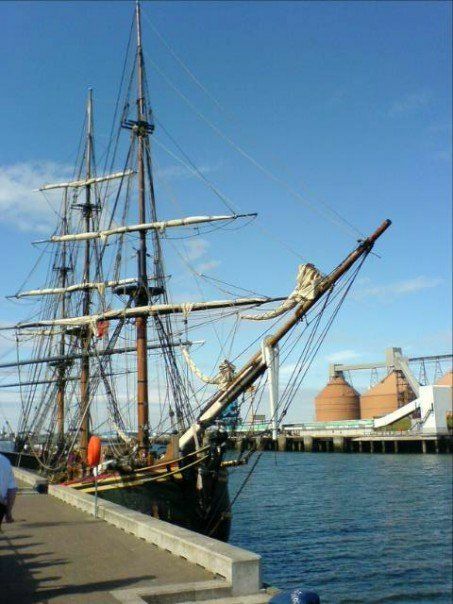 Tall ships up to 100 metres long, some decades old, will sail into the tidal, deep water port of Blyth. Visitors can expect a great view of the ships from the quayside as well as being able to go on board the ships. From vantage points along the bay between Blyth and Seaton Sluice, the dramatic sites of the ships at full mast, sails billowing, will be truly breathtaking. The North Sea Tall Ships Regatta is being held for only the second time in six years and marks the diamond anniversary of The Tall Ships Races. The ships will then set off on the 500 mile nautical race from Blyth to Gothenburg in Sweden. 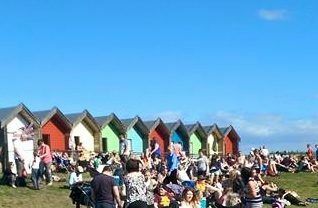 During your visit to the Blyth Tall Ship Regatta there is lots for you to enjoy including the popular South Beach, a beautiful stretch of golden sand, home to a colourful row of beach huts which are available for rent. Blyth Battery is a fascinating World War I coastal defence artillery battery that also saw service during World War II. And if you get tired of Tall Ships, then check out these 5 free days out in Northumberland. Are you planning to go to the Tall Ships Regatta in Blyth? Have you seen these amazing vessels before? Touching a toddler goes a long way! Welcome! I’m Helena, and this is my blog about life with these guys.